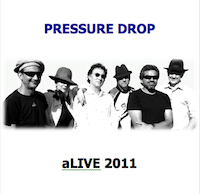 The new Pressure Drop album was recorded live at Dandenong, Victoria in early May 2011. You will be able to purchase the entire CD or download individual mp3 tracks from May 25, 2011. Advance orders and further information are available by ringing 0419422410.